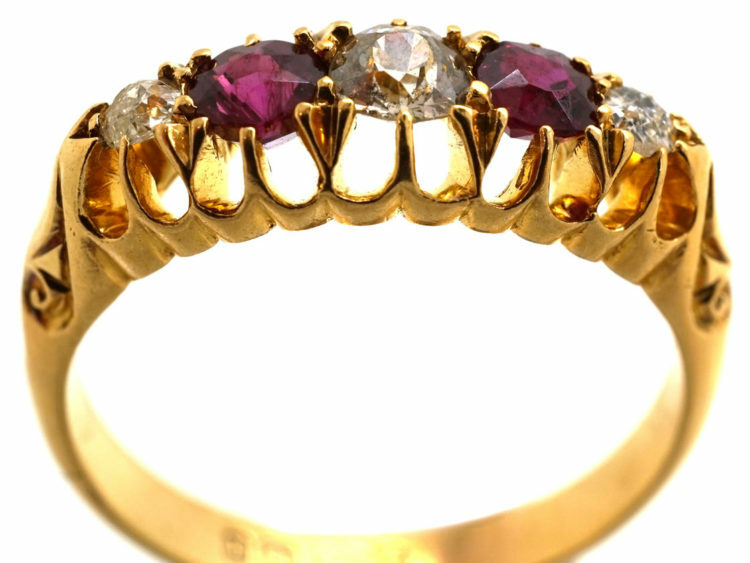 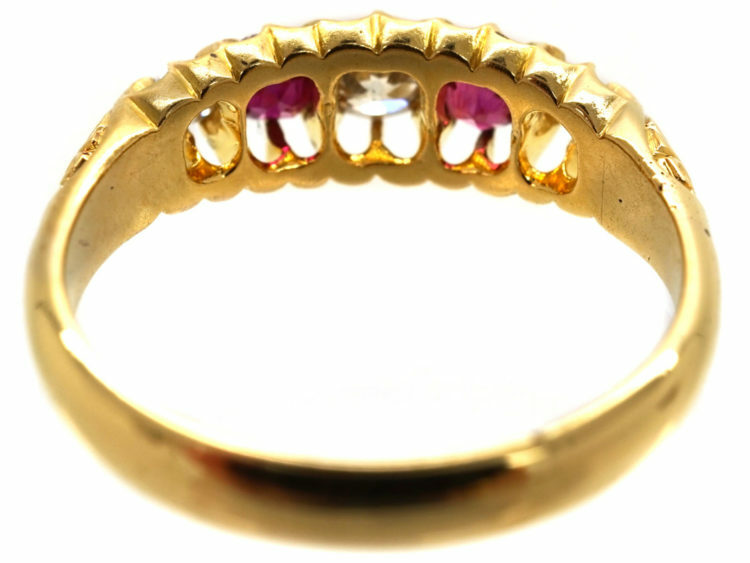 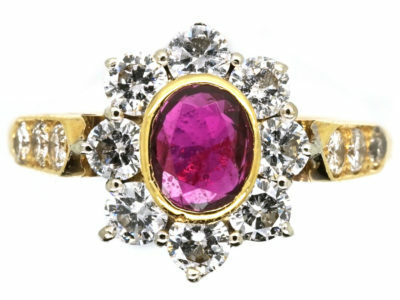 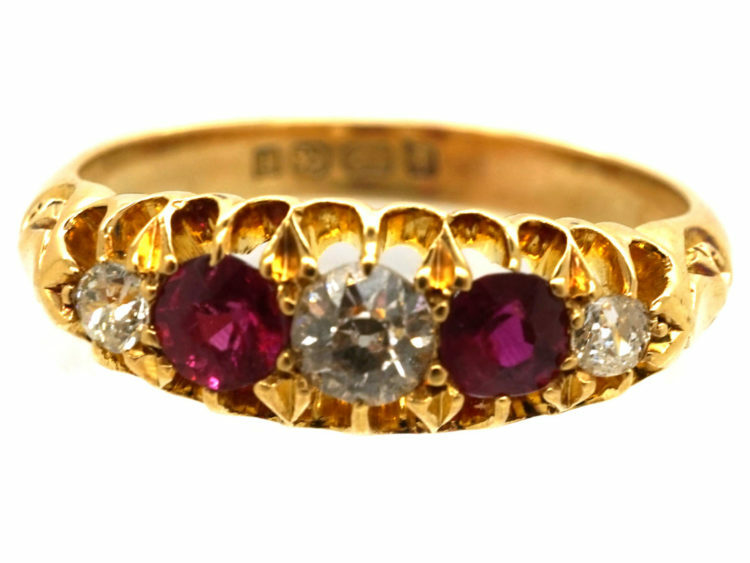 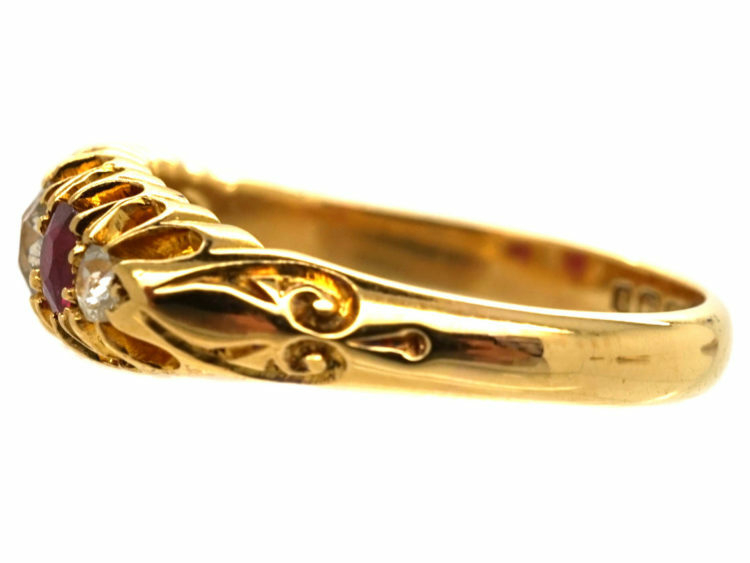 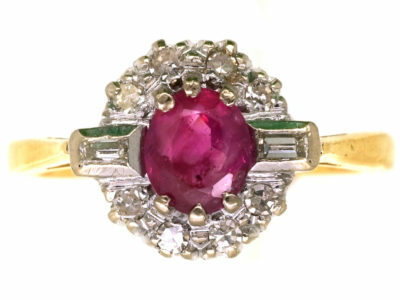 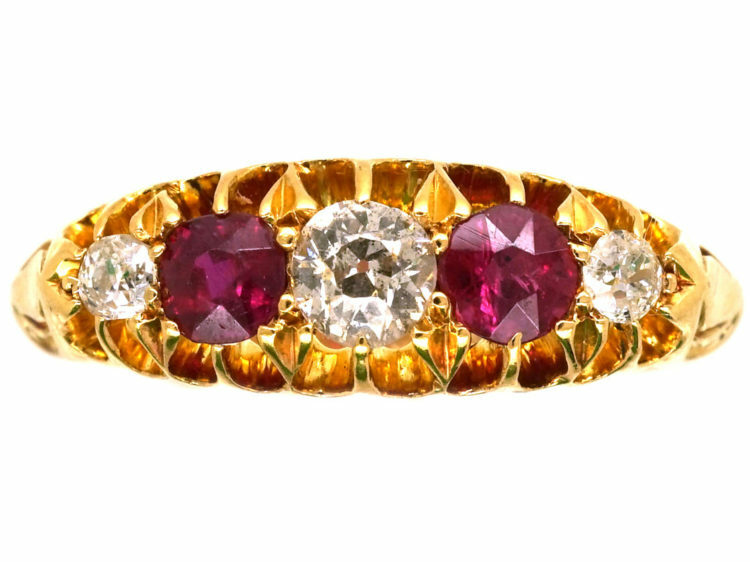 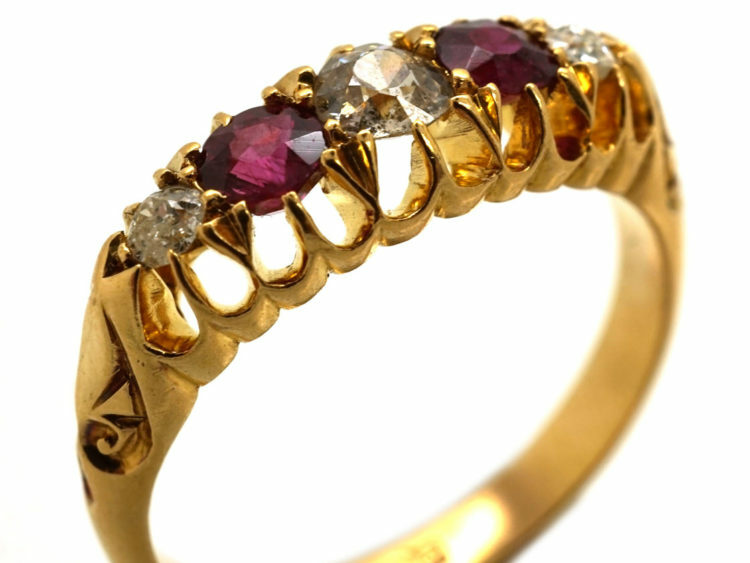 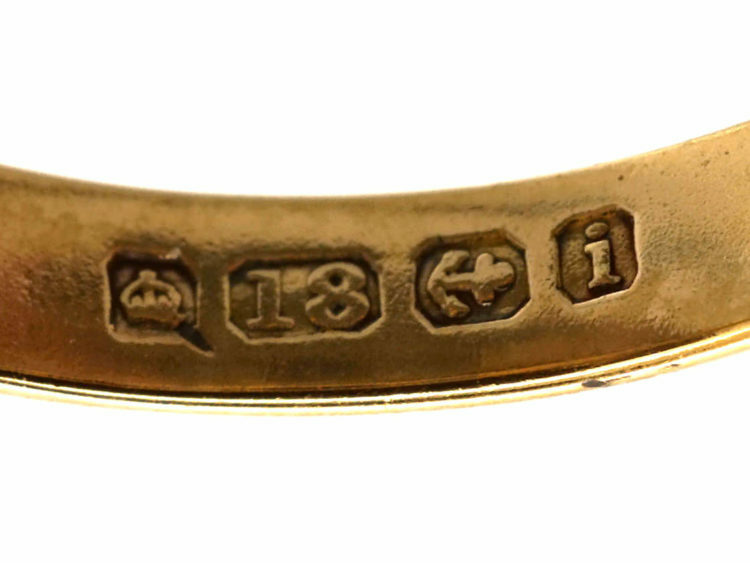 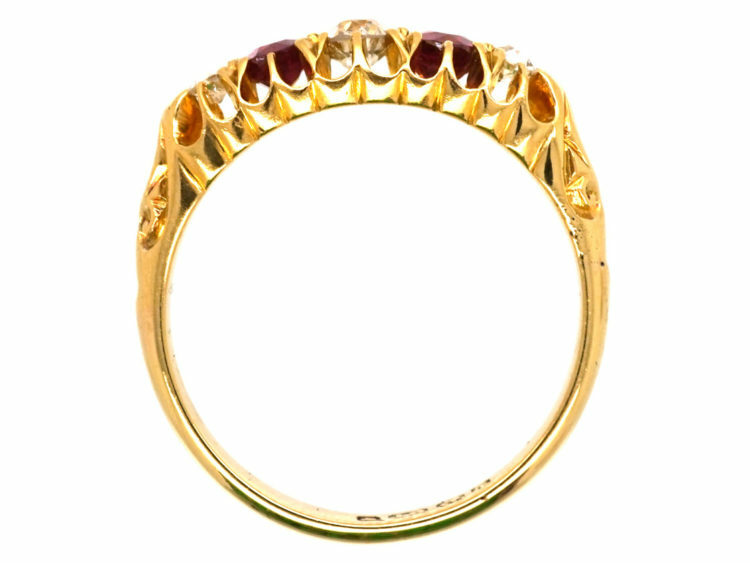 A lovely 18ct gold ring set with two rubies and three diamonds. 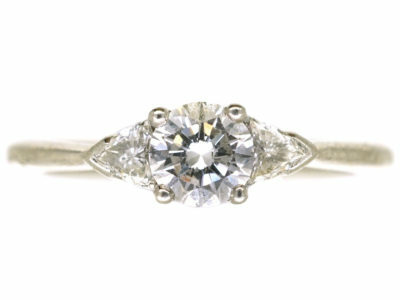 It was made in 1908 in Birmingham. 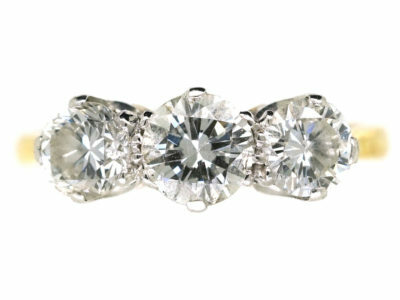 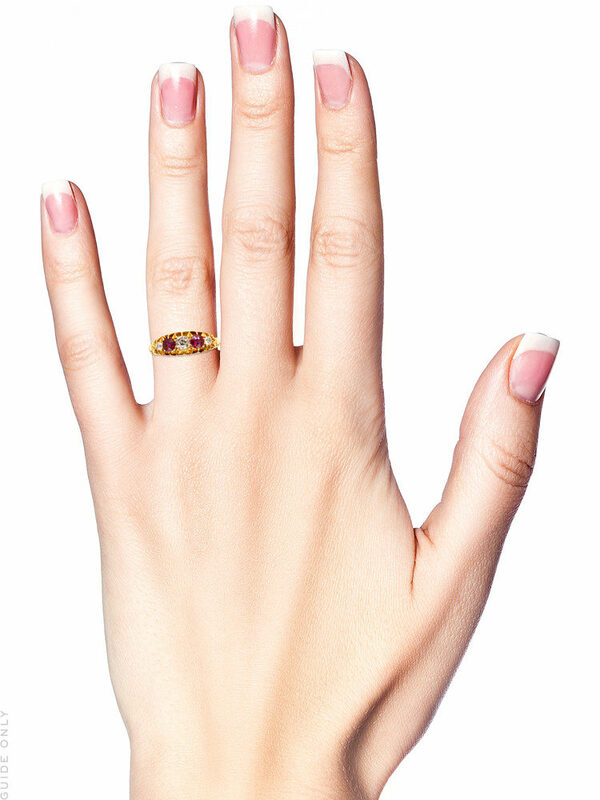 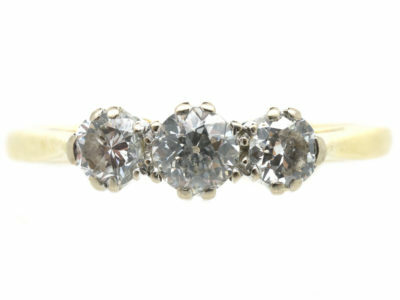 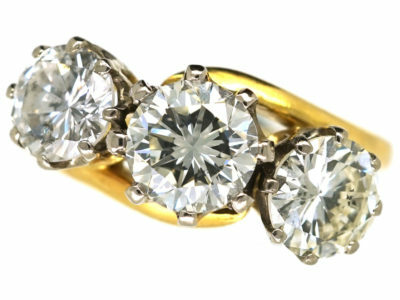 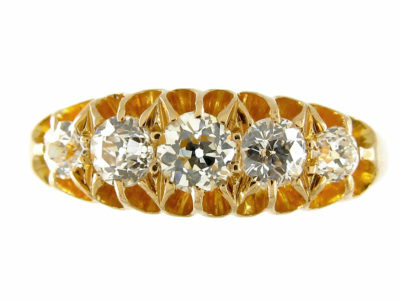 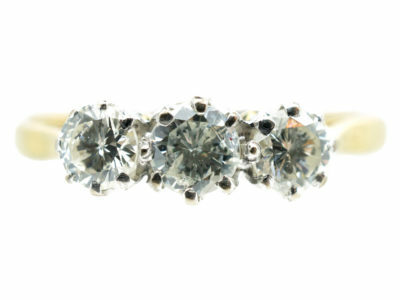 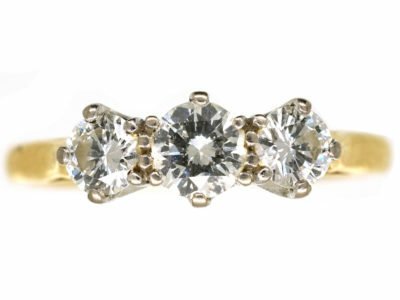 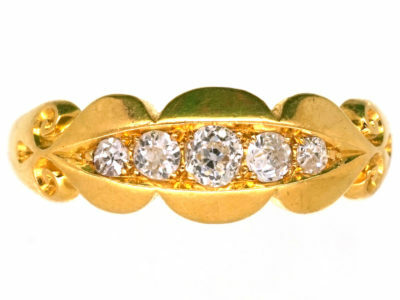 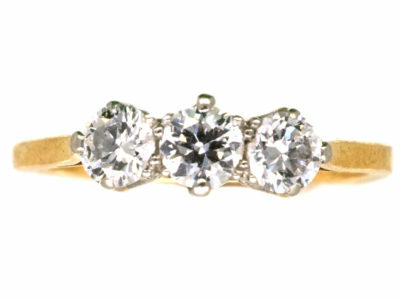 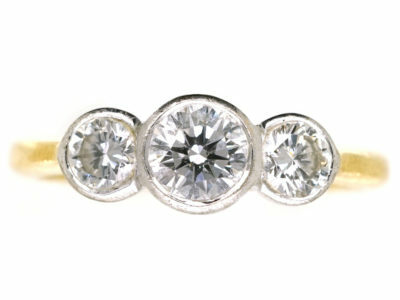 This style of ring is so easy to wear every day.